A prominent human rights advocate has been taken into custody by Saudi Arabian police for campaigning for release of her former husband, who is serving a 15-year term. She was reportedly put in the same jail where her brother is incarcerated. 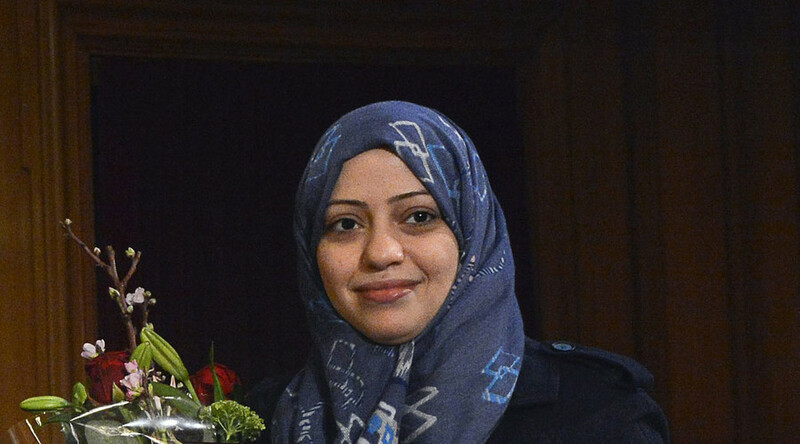 Samar Badawi received an International Woman of Courage Award from the US State Department in 2012 for defending women’s rights in the highly-conservative kingdom. She was detained on Tuesday morning and taken to a police station along with her two-year-old daughter, Amnesty International reported. After four hours of questioning, she was transferred to Dhaban Prison, the organization cited local activists as saying. Urgent Saudi authorities arrested Raif's sister #Samar_Badawi her change is managing her husband's account Samar and Raif at the same place! “Samar Badawi’s arrest today is yet another alarming setback for human rights in Saudi Arabia and demonstrates the extreme lengths to which the authorities are prepared to go in their relentless campaign to harass and intimidate human rights defenders into silent submission,” said Amnesty’s Philip Luther. The detention appears to be connected with Samar’s running a campaign for release of her former husband Waleed Abu al-Khair and particularly publishing a photo of him in jail. Al-Khair was sentenced to 15 years in prison for his work as a human rights lawyer. Among the people he defended was Samar’s brother, Raif Badawi, who was sentenced to 10 years in prison and 1,000 cane strikes for insulting Islam and criticizing the Saudi government. The popular blogger received 50 strikes just over a year ago, an act that drew international condemnation. Samar Badawi has been banned from leaving Saudi Arabia last year, which prevented her from traveling to a human rights event in Europe. The detention comes two weeks after Saudi Arabia executed 47 prisoners in one day, including prominent Shiite cleric Nimr al-Nimr. The move antagonized Saudi Arabia and its Sunni allies with predominantly Shiite Muslim nations led by Iran, with Riyadh and Tehran breaking diplomatic relations.